In 2014, MACCAFERRI factory in Kurgan started production of snow-retaining barriers OM-SUB (CTR-OM). 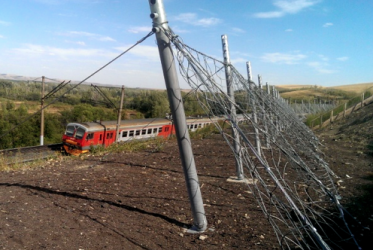 The first domestic snow-retaining barriers were installed along the South-Ural Railway in Orenburg region. This design was developed by Italian engineers for more than 15 years ago, based on years of testing in the Alps. MACCAFERRI snow-retaining barriers of this range were certificated in the Swiss Federal Institute for Snow and Avalanche Research in Davos and they meet international standards. Also, in 2014 barriers made in Russia received Technical Approval of Russian Ministry of Construction and were certified in GOST R system.